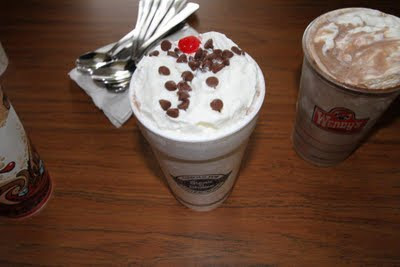 The Steak and Shake chocolate was a very good chocolate shake. There was an even chocolate taste and it felt like real ice cream. Some comments included, "light chocolate taste", "really good" and "thin." It seems the way Burger King makes their shakes is to stick the chocolate in the bottom, add the neutral milk shake liquid and then mix it up. It seems that they forgot to mix this one up. The Steak and Shake Hershey's Special Dark shake was also tasty, if not a bit too chocolaty. It had a similar texture to the first Steak and Shake shake. (remember this: Metro Station - Shake It) One taster has problem with the froze chocolate chips being disconcerting to eat with the smooth shake. Other comments included, "smooth," "a bit too chocolaty" and "rich." Let's get one thing straight. 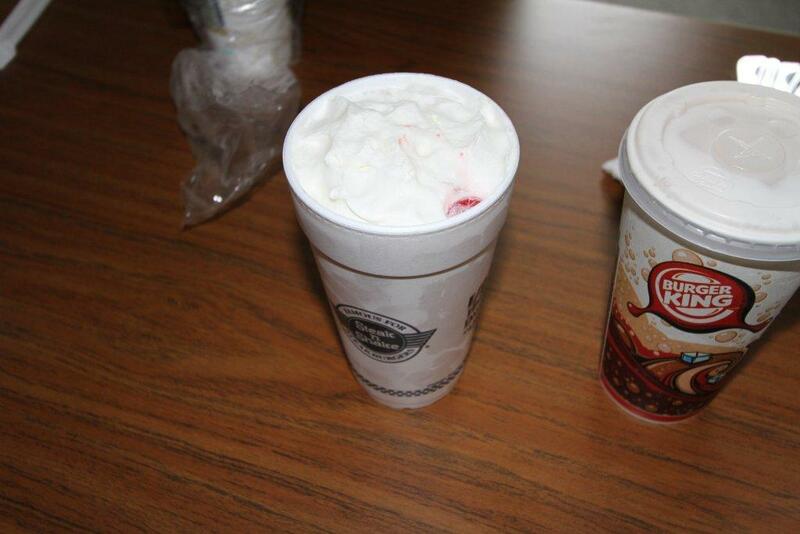 A Frosty is not a shake. A Frosty is a frosty and I don't want to delve into religious beliefs here, but I assume that if there is a heaven, there are Frostys there and if there is a hell, there are none. That being said, Wendy's felt the need to shame the Frosty by offering shakes. I did think for a moment that if you took a Frosty and let it melt a little, you'd get a shake. 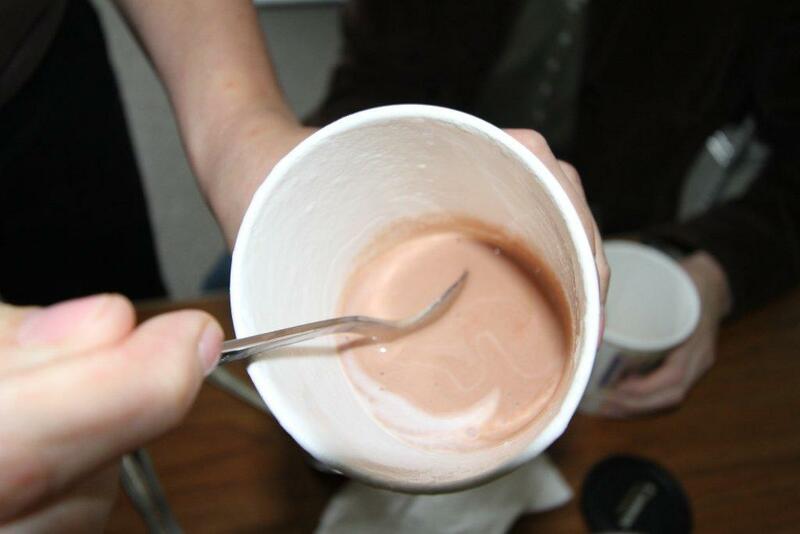 I've never eaten a Frosty slow enough to see it melt, so I was a bit curious. Maybe this might be delicious. 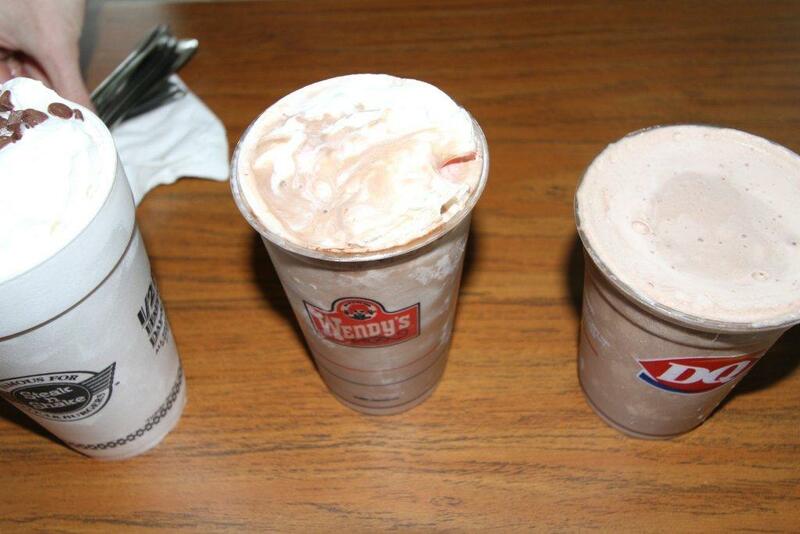 The Wendy's Chocolate shake is terrible. Too chocolaty and not smooth. Other comments included, "madness" and "worse than a Frosty." The can only assume that this chocolate shake idea came out after Dave Thomas died or right before and it killed him. Expectations were low for the Dairy Queen chocolate shake. I mean, it's Dairy Queen. 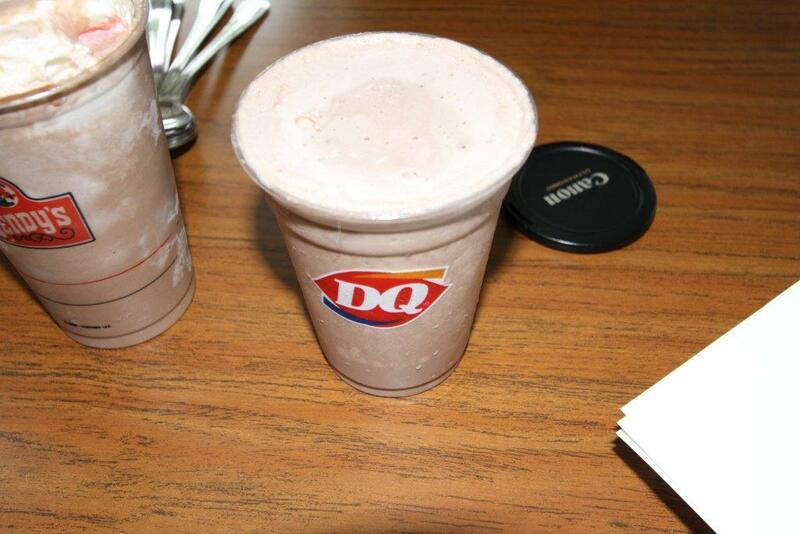 The Dairy Queen shake was delicious. Smooth, a great chocolate taste. The classic chocolate shake. I realize that the Dairy Queen shake may not be hand dipped and mostly processed, but it was an awesome shake. In the end, the Dairy Queen chocolate was rated highest and the Steak and Shake chocolate came in a close second. 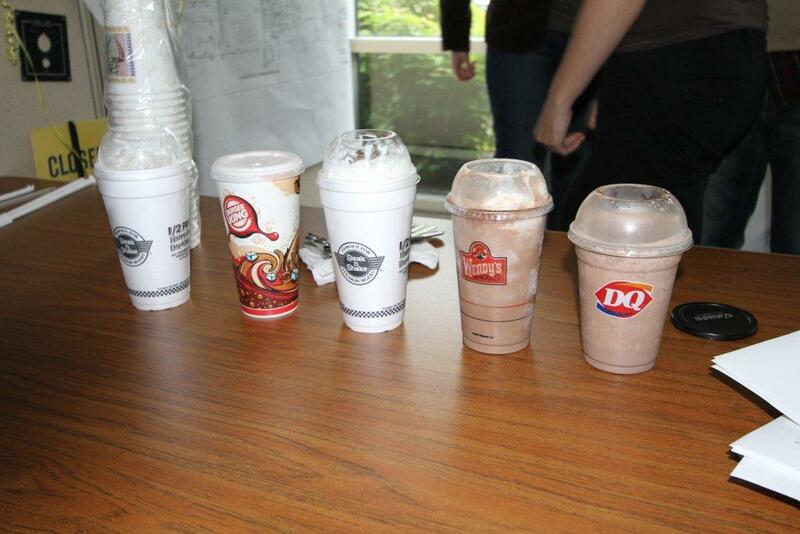 And just so you are aware, the guy who thought the BK shake was delicious had all his votes thrown out. Shake shake shake shake shake it. 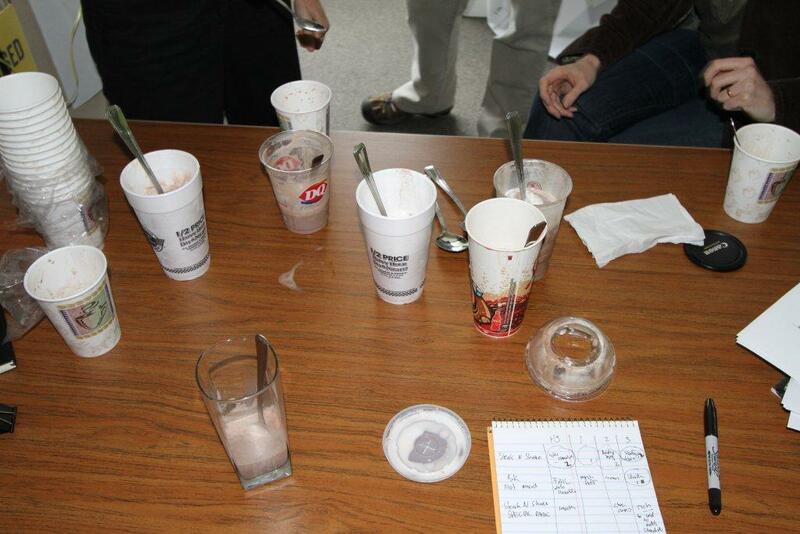 STEAK AND SAHKE ACTUALLY USES A 'SHAKE BASE' FROZEN ICE MILK TO MAKE THEIR SHAKES. 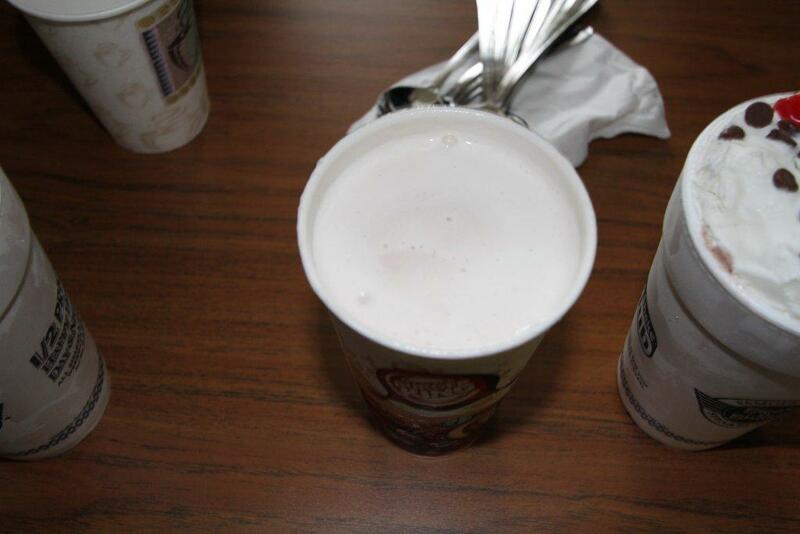 IT WAS EXPLAINED TO ME THAT THE 'ICE CREAM' THEY USE FOR ALA MODE-ING PIES AND SUCH IS TOO RICH TO MAKE A SHAKE. DAIRY QUEEN USES THEIR SOFT SERVE ICE MILK....THEY DON'T EVEN HAVE ICE CREAM...CAN'T CALL IT ICE CREAM...BUT THEY DO.